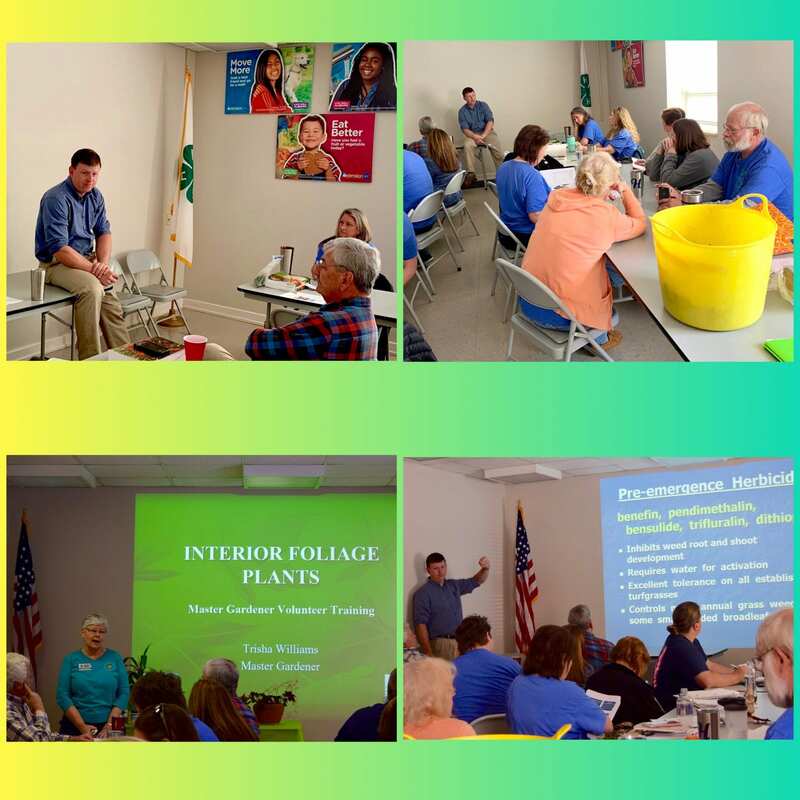 Our 2019 Master Gardener Intern class completed their class requirements on April 17 with the final classes presented by Sally Lee, Urban Regional Extension Agent. 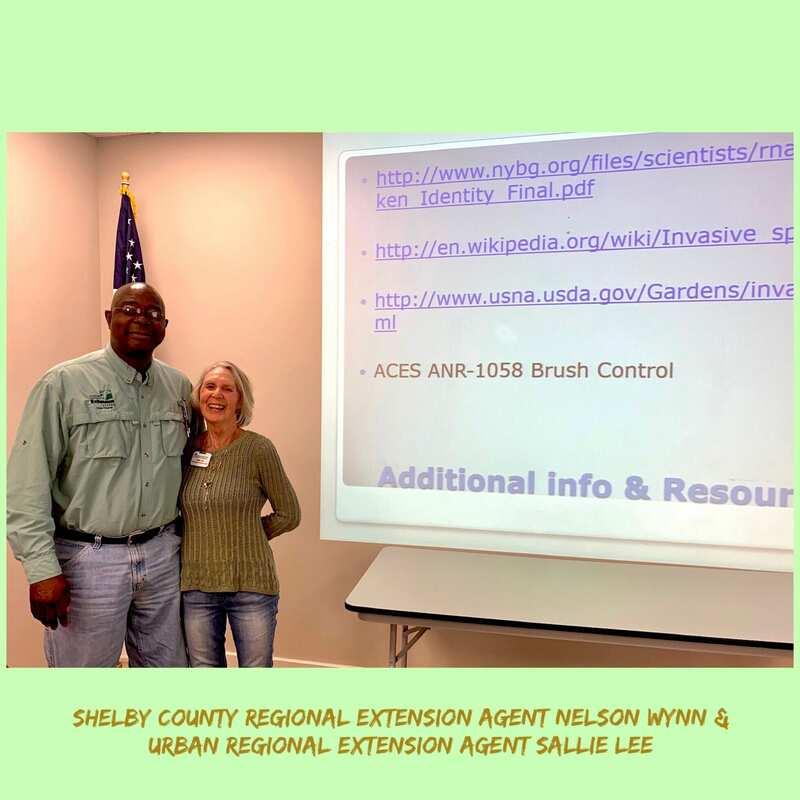 Woody Ornamentals , Invasive Plants, and Beneficial Insects were the topics of the day. A salad bar lunch was provided by the class and facilitators. 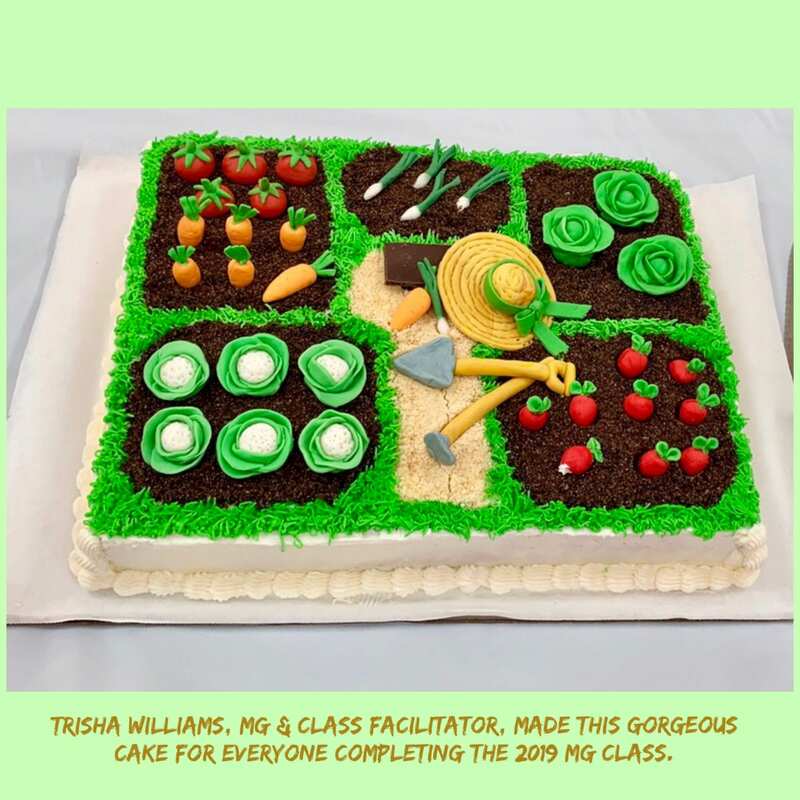 Trisha Williams made the class a beautiful, delicious cake decorated with scenes of gardening. 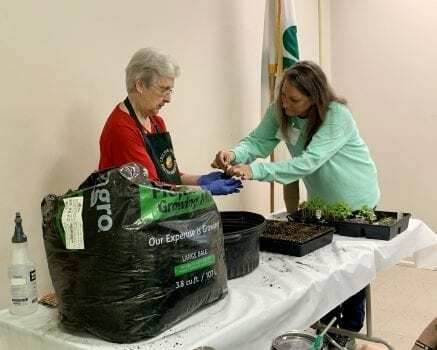 She is a multitalented Master Gardener! 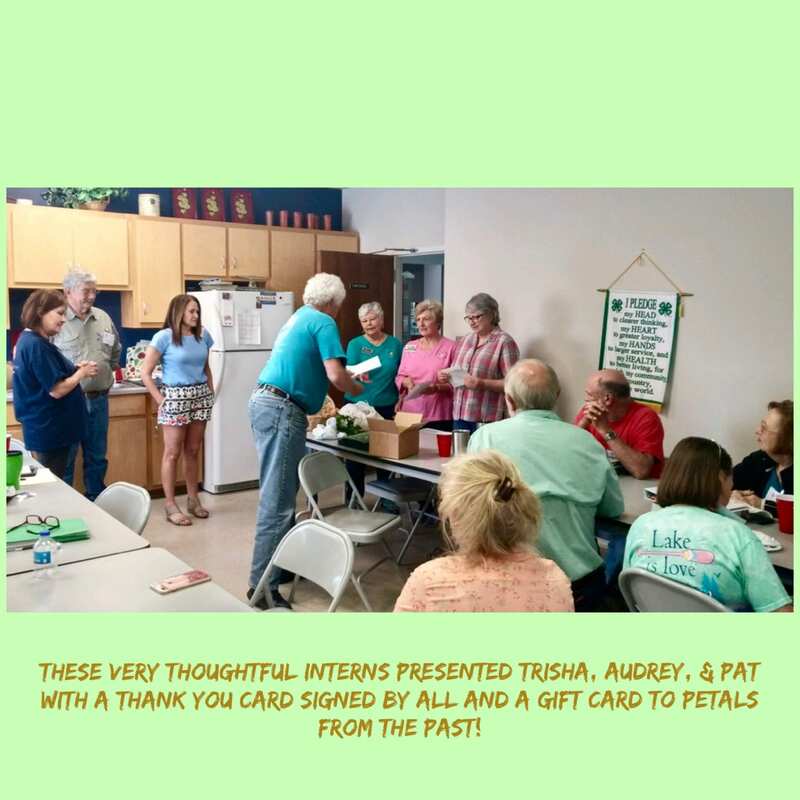 Congratulations to a great group of Interns on completing 12 weeks of Master Gardener training classes! 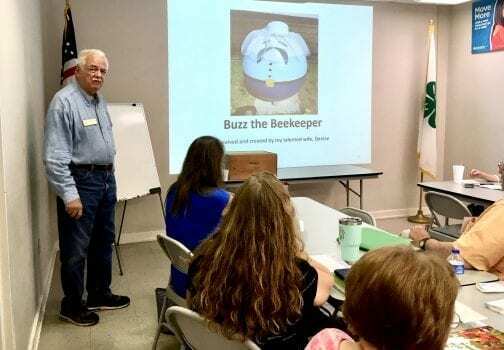 Our Master Gardener Class on April 10 was all about Trees and Bees. 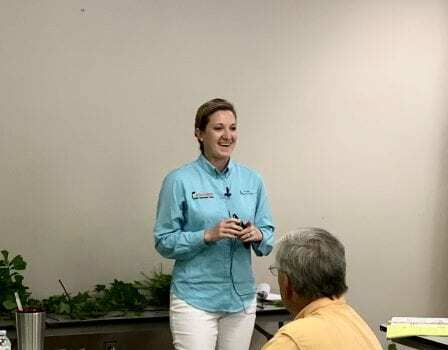 The morning session was conducted by Mallory Kelley, Autauga County Regional Extension Agent, on Tree Identification. 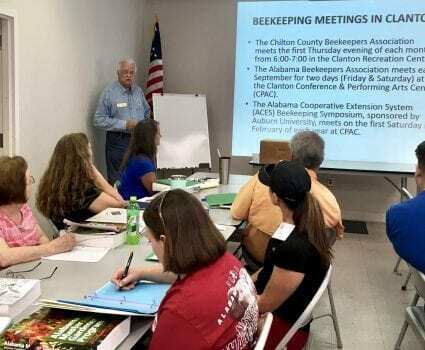 The afternoon class was by Bill Evans, President of the Alabama Beekeepers Association. You didn’t hear any buzzing in that class, everyone was awake and alert! Thank you, Mallory and Bill for 2 very interesting classes! 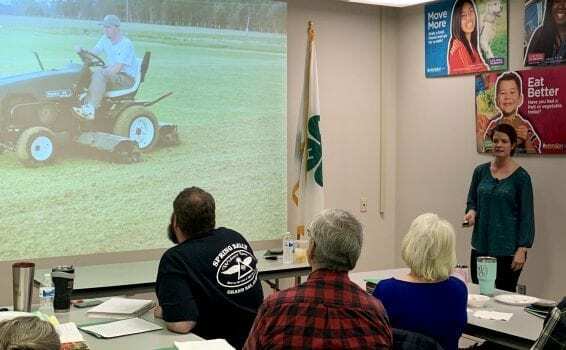 The Master Gardener Class was held at the Chilton Research and Extension Center on April 3. 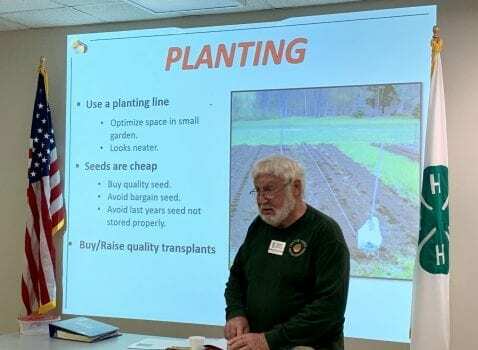 The instructor was Dr. Edgar Vinson, an Extension Fruit Specialist, who taught the class about small fruits for the garden. He taught the class how to grow small fruits, discussed diseases and gave them some recommended varieties of strawberries, blueberries, blackberries, raspberries, grapes and figs. What a lot to learn in one day! Following the class Matthew Price took the group on the traditional wagon tour of the CREC grounds. Move um up, head um out! 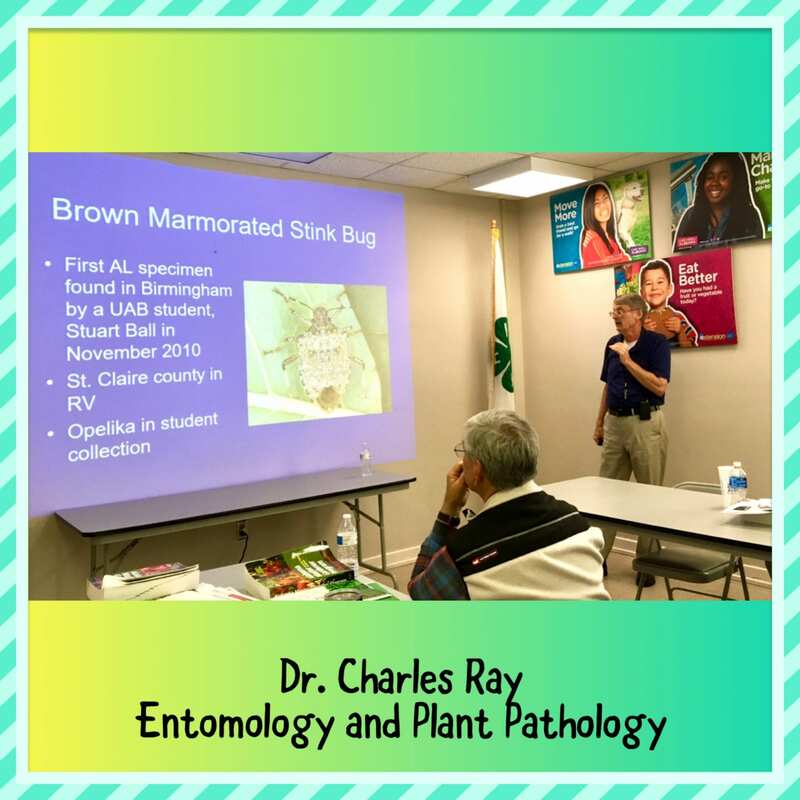 Dr. Charles Ray taught our Master Gardener Intern class on March 27th all about insects. The class includes characteristics of insects, identification, life cycles and management options. 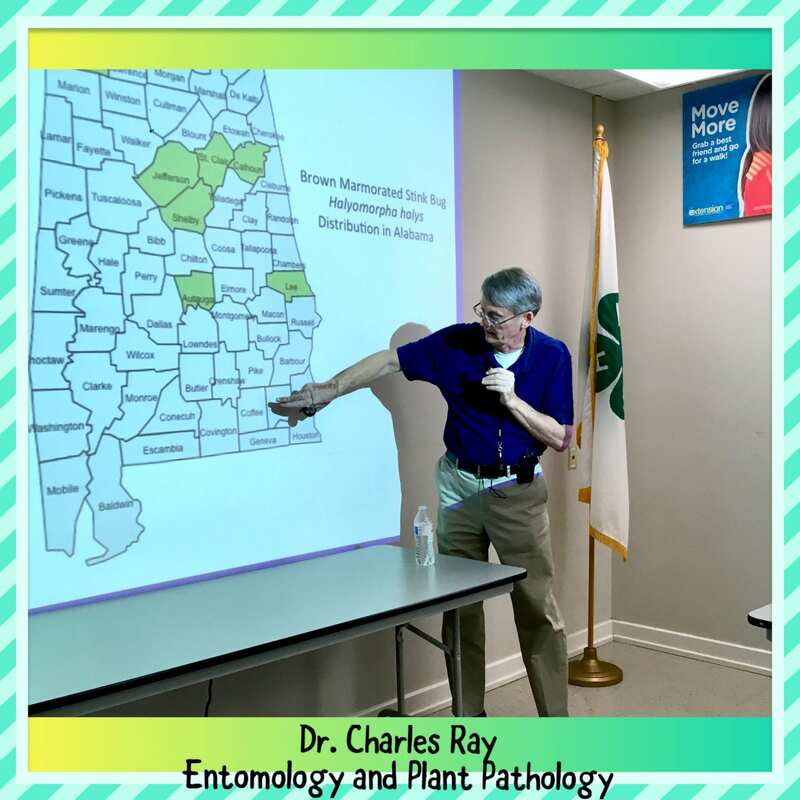 Dr. Ray includes his top ten insects of the year–insects that he gets the most questions about. 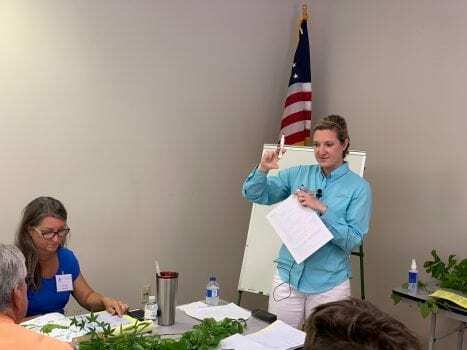 Our Class this week covered Houseplants, taught by our facilitator and Master Gardener Trisha Williams; and Weed Management taught by Shane Harris, County Extension Coordinator in Tallapoosa County. I think everyone learned a lot from both classes. 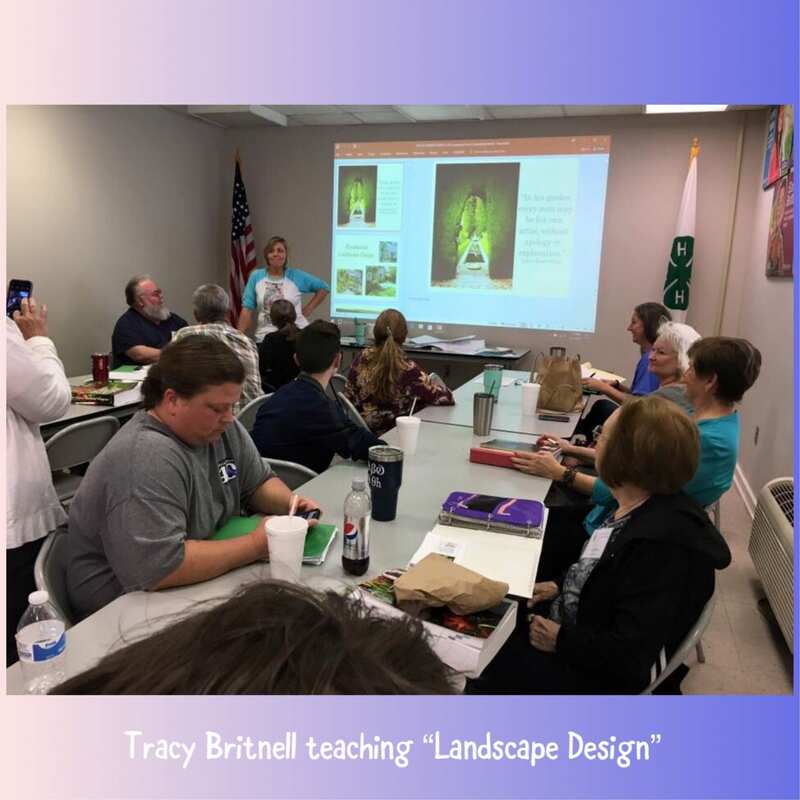 The CCMGA Intern Class for March 13th was presented by Tracy Britnell on landscape design. 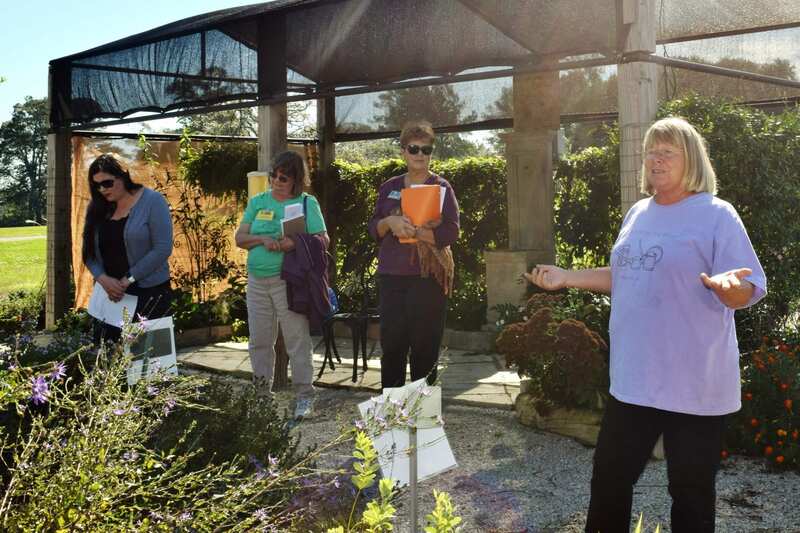 Tracy is a certified Master Gardener, works in the landscape industry, and also works at Petals from the Past. 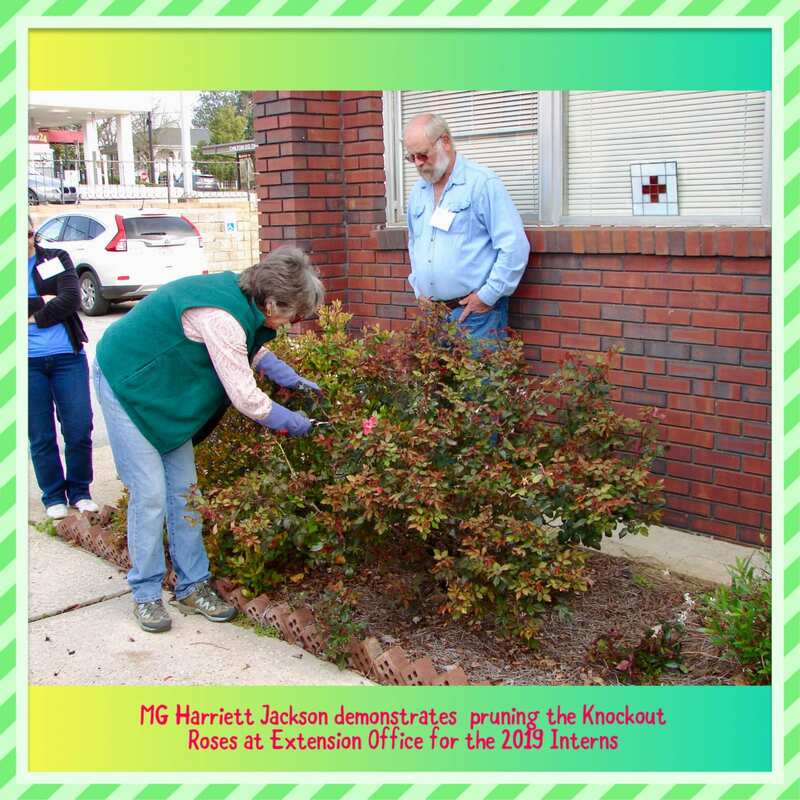 We also had one of our Master Gardeners, Harriett Jackson, come by and demonstrate to the class how to prune the knockout roses planted in front of the Extension Office. Thank you, Gay West and Elaine Densmore for these photos! 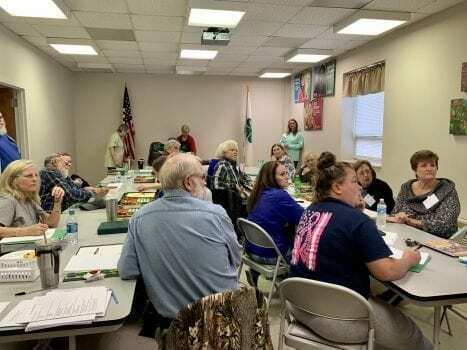 Our MG class was held this week in the Barn at Petals from the Past in Jemison. 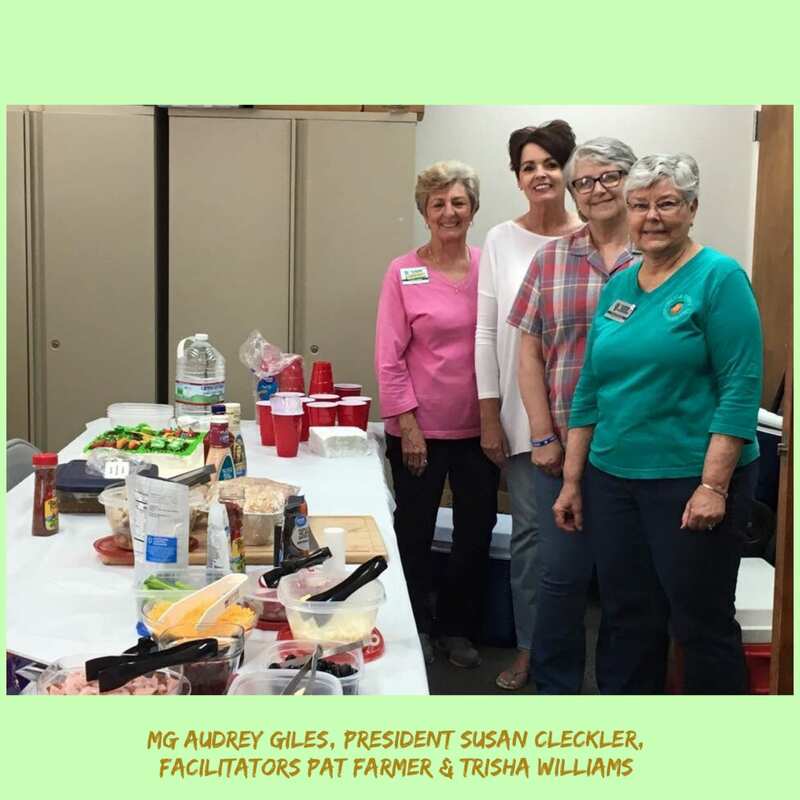 The Master Gardener members provide lunch for everyone for this class and we always look forward to this. 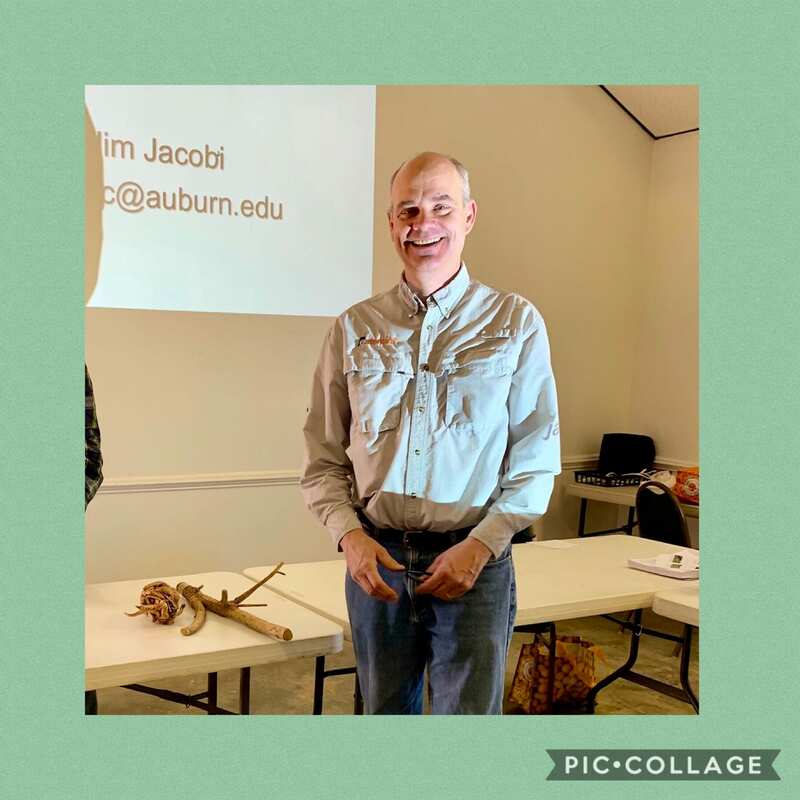 The instructors were Dr. Jim Jacobi from Auburn on “Plant Diseases” and Dr. Arlie Powell, owner of Petals from the Past on “Plant Propagation”. 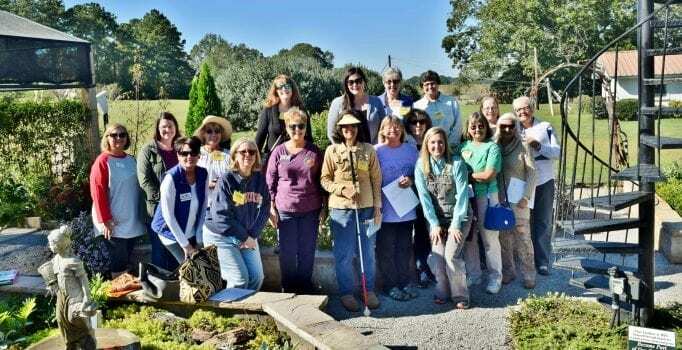 I can’t believe we are half-way through this year’s Master Gardener Class! We have a very enthusiastic group! 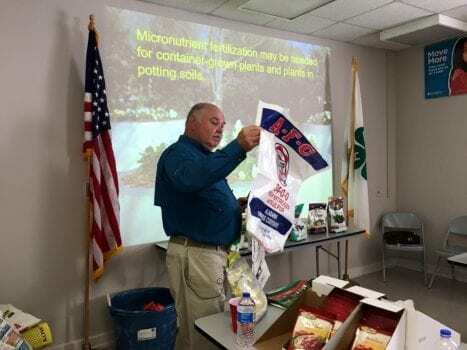 Our class today was presented by Dr. Charles Mitchell on Soils and Plant Nutrition. Everyone said they really enjoyed it. Thanks, Dr. Mitchell! Photo by a Gay West. 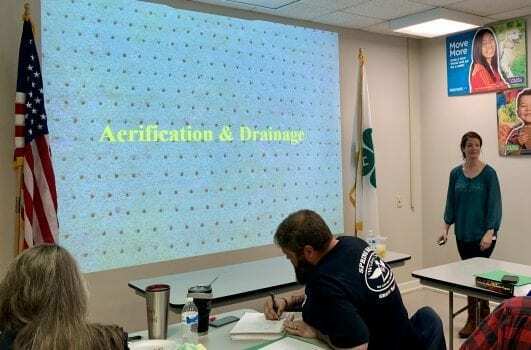 Our Master Gardener Lanell Baker did a presentation for the Intern class today on starting plants from seeds. The class members were eager to help. 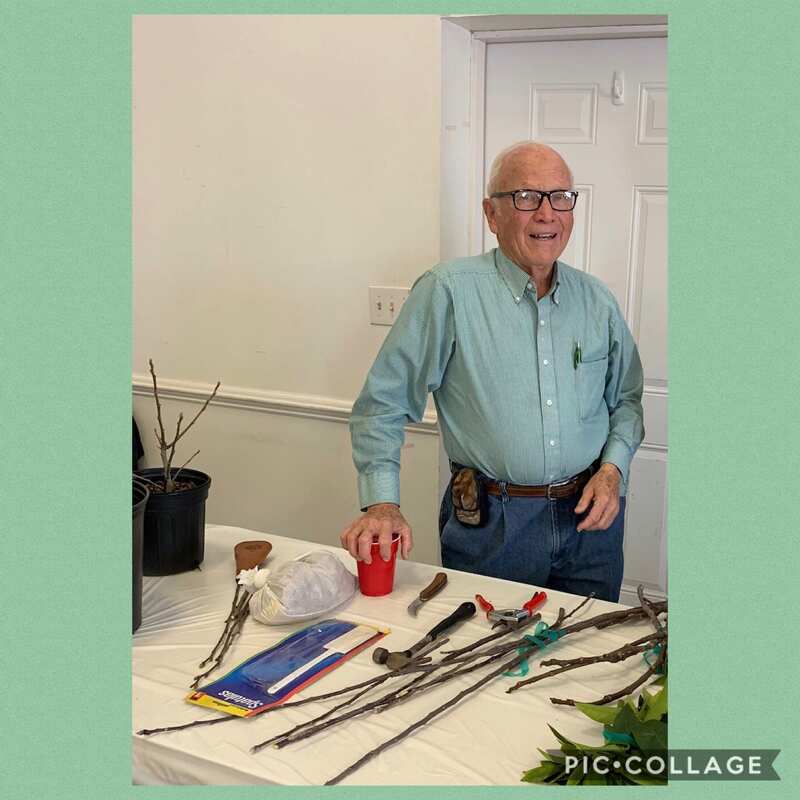 Then following that were the Master Gardener Classes “Home Lawns” by Taylor Hatchett and after lunch, “Vegetable Gardening” by our own Master Gardener, Larry Jones. These were 2 great subjects for study. 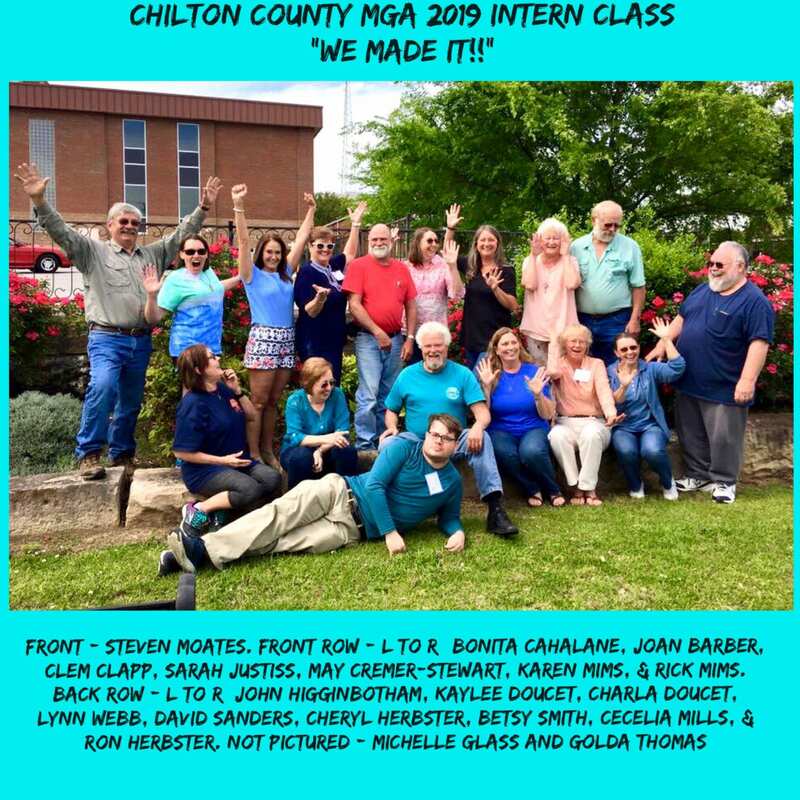 On October 19th the Central Alabama MG Intern Class toured the CCMGA Demo Garden. President Sondra Henley was the tour guide and told the history of the Demo Garden and how the new garden was created. 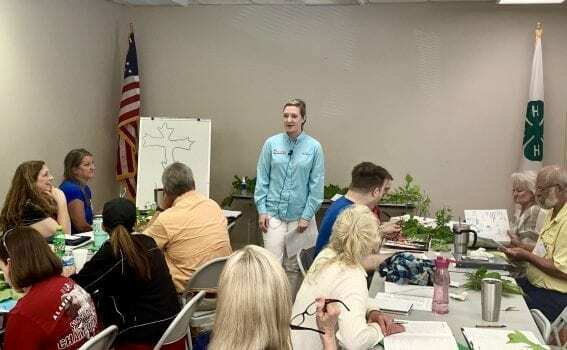 Mallory Kelley, ACES Regional Agent for Autauga County and facilitator of the class, accompanied the group. 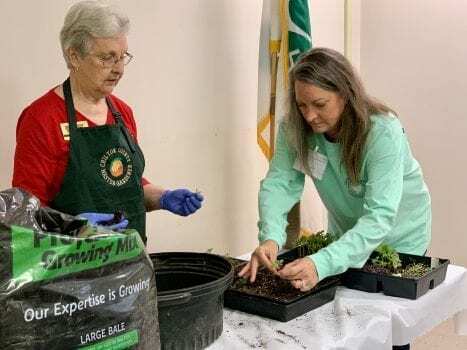 Chilton County Master Gardener Sue Webb was there to tell about her Native Bed in the garden. Treasia Bennett told about her Knot Garden and Susan Cleckler told about her bed “Don’t’ Bug Me” (repels insects) and a little about the Butterfly Garden. For a slideshow of photos of the tour go to Smilebox. The Demonstration Garden at the Chilton Research and Extension Center (120 County Road 756, Clanton, 35045) is open year round. To schedule a tour for your group or organization call 280-6268 and the office will contact the appropriate person.